Former Opposition leader Simon Busuttil said that the recently published Greco report revealed that Maltese institutions were paralysed in the face of government corruption. "All the damning reports published about Malta in recent times have a common thread: that the law isn't the same for everyone," Busuttil said. He was speaking in Parliament in an open discussion without a vote on the report published by the Council of Europe's Group of States against Corruption (GRECO). Among other things, the document had said that "Malta clearly lacks an overall strategy and coherent risk-based approach when it comes to integrity standards for government officials." "The question that we should be asking is: did Maltese institutions serve us in the face of passport kickbacks, the Panama Papers, and all the other Labour scandals in recent years? No, they did not," Busuttil said, adding that while the government was blaming archaic laws since colonial times, these same laws had served independent Maltese governments rather well. 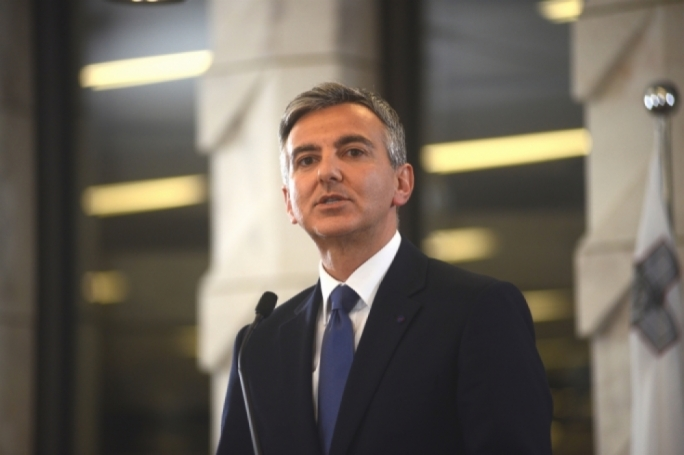 "So it must be this government's fault that the institutions have failed to result in concrete results," Busuttil said. Partit Demokratiku leader Godfrey Farrugia echoed these same sentiments and said that the government's reactions to the Vitals scandal and the Panama Papers revelations were weak and did not result in any warranted resignations. "All these scandals are the wounds that limit our accountability. We need to stop abusing the administrative and justice systems of this country today," Farrugia said. Justice Minister Owen Bonnici defended the government by comparing Malta's Greco report to that published for other countries. He also noted that Sweden's report hadn't yet been published despite the country having been analysed at the same time as Malta. "Iceland was criticised in the report because their District Commissioner of Police can only act upon the recommendations of the ministers. Holland has a law that dates back to 1885 that states that one needs the permission of parliament to move against a minister. This was criticised. Britain was criticised because advisors on the declaration of assets of ministers are appointed by the Prime Minister and can only be investigated if this is ordered by the Prime Minister. "Luxembourg too was criticised for having a law that states that a minister can only be tried in court if Parliament allows this to happen. In Finland, ministers have privileges that can only be lifted by Parliament," Bonnici said. He said that Malta didn't have any of these issues debilitating its administrative functions. "Malta, of course, has other laws that were criticised. These aren't laws we made but have been there for generations. We will keep improving and take the recommendations seriously. There isn't a problem," Bonnici said, adding that these were exciting times for the Maltese justice system because welcome changes were being made. Prime Minister Joseph Muscat said PN MEPs and the media were partially to blame for the critical Greco report and said that PN MEPs had portrayed Malta as some dysfunctional democracy. He defended Malta's freedom of expression and said that Maltese media had a lot of power in the country. Muscat mocked PN MEPs and said that though German Green MEP Sven Giegold attempted to trigger Article 7 against Malta based on what was fed to him by the same PN MEPs, these had dissociated themselves from Giegold once this happened. "The PN exponents themselves don't believe what they're uttering, a clear case of party propaganda that went too far," Muscat said. Busuttil argued that the Labour administration was intent on blaming everyone for the report apart from its maladministration. Speaking during the Greco report debate in Parliament, Delia said the Opposition would be presenting a motion for the setting up of this committee. The committee would be tasked with drawing up a plan within three months about how to implement these recommendations, which would then need to be implemented within six months. Delia criticised Muscat's speech when he commenting that the media was very strong in Malta, making reference to the late investigative journalist Daphne Caruana Galizia. "How strong can it be when a journalist was killed for writing controversial things?" he asked, adding that the Attorney General was also doing his utmost to prevent access to the Egrant report. The PN leader accused the Prime Minister of hijacking all the institutions of the country, engendering an unprecedented paralysis of all powers that could effectively fight corruption. Responding to the PN's credibility in its fight against corruption, Delia questioned the credibility of the government on its fight against corruption while retaining now Tourism Minister Konrad Mizzi.